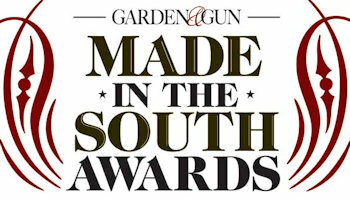 In it’s first year, our Kentucky Owl Straight Bourbon Whiskey received the very prestigious Garden & Gun’s 2014 Made in the South Award for best drink! Those familiar with the history of Beaumont Inn know my name is Samuel Dixon Dedman, and I am the fifth generation of my family to serve as Innkeeper in this family business. What many of you do not know is that around the same time period that my great-great grandmother, Annie Bell Goddard, was purchasing these thirty-some acres and three story 1845 structure to convert it from a college for women to it’s present state as a full-service country inn, my great-great grandfather Charles Mortimer Dedman and his son, Thomas Curry Dedman, Sr., were dealing with the Act of Prohibition and the subsequent closure of their distillery, Kentucky Owl. Their distillery was located in North Mercer County, a community called Oregon, on the banks of the Kentucky River. 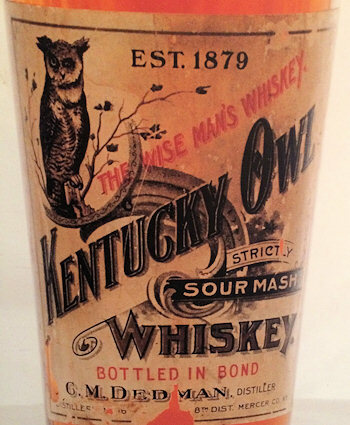 Started in 1879, they produced Kentucky Owl Sour Mash Bourbon Whiskey, “The Wise Man’s Whiskey.” In or about 1916, not only were they ordered to cease production, but their remaining stocks were put on barges, taken to Frankfort and housed in ‘Government Warehouses’, where they were guaranteed safe storage and thus not allowed to purchase any type of insurance for their stocks. Shortly thereafter, they received word that these warehouses were mysteriously burned, and as you might expect, they were never able to recover the first dime for their property. Many subsequent filings were held, but to no avail. 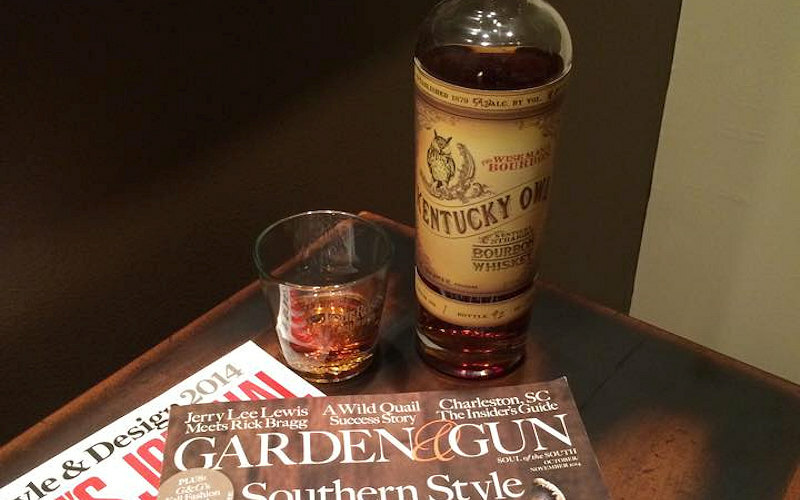 From that period up until a few years ago, that was the end of the story of Kentucky Owl. Previous generations had often spoken of how much it would mean to them to see the brand reborn, but it was not to be. That is until a chance encounter in Austin, Texas with a fellow innkeeper, who also happens to be one of the most acclaimed winemakers in the Napa Valley Region of California. 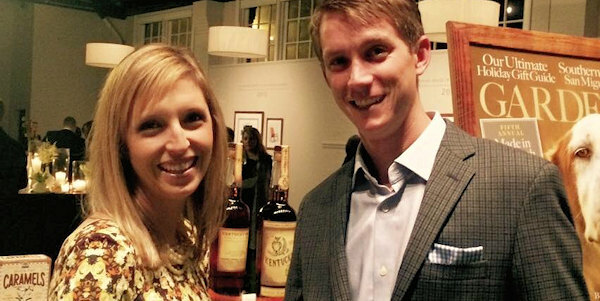 At dinner one night, my very good friend Mark Carter of Carter Cellars and I discussed the booming growth of the bourbon industry and how much both of us would like to venture into this world. The stage was set. Mark made plans to visit us in Kentucky, and it was up to me to start to test the waters to see how feasible it might be to resurrect our old family brand. Needless to say this new adventure took time. But at long last, after many dead ends, several trips for Mark and his wife Sherri from the west coast, and with the help of many, many influential people in the bourbon world, we are ecstatic to announce that Kentucky Owl Kentucky Straight Bourbon Whiskey is alive once again, and we are all very, very excited about its potential! After tireless work from Sherri Carter developing the new branding and label we are so proud of, we are currently slated to bottle our first release in mid-July 2014, hitting store shelves and a select group of fine bourbon-themed establishments in August. We couldn’t be more thrilled. We have brought in some of the most talented and capable palates in the bourbon industry to help guide us on this journey. We have finally settled on a first release. This will be a blend of only 5 barrels we have hand-selected for the blending of this first release. It will only yield between 1300 and 1400 bottles, bottled at barrel proof, with hand-written numberings of batch, bottle number and proof. It was a painstaking process selecting these barrels, but just as we strive to do here at Beaumont Inn and as Mr. Carter does with his wine, until we found a superior product, we would not release the first drop. This thinking also influenced our decision to only bottle at barrel proof. We feel that you, the consumer, should decide how you like to drink it. Our product will remain in it’s truest form, uncut and unfiltered, and thus, only when the bourbon presents itself in a quality we deem worthy of Kentucky Owl, will we bottle and release it. Based on the impact The Owl has had in our blind tastings with many notable bourbon enthusiasts/aficionados, we’re proud to say this first batch will set the bar high. There is much more in line to follow this first release, and when the time comes, you shall have it. Our barrel proof, uncut and unfiltered Kentucky Owl coats the entire palate with initial sweetness of caramelized sugar and dark fruit. The mid-palate sensation is of oak with a sweet cedar spice and slight citrus, while the finish is long, peppery, with a sweet dark cherry sensation. The color is deep amber and the nose has a sweet oaky aroma with a touch of cinnamon. Bottled at close to 119 proof, Kentucky Owl has a subtle warmth – not overpowering with alcohol, but a richness only found in bourbon in its truest form.